The new indictments come a day after many of the parents agreed to plead guilty to previous charges. 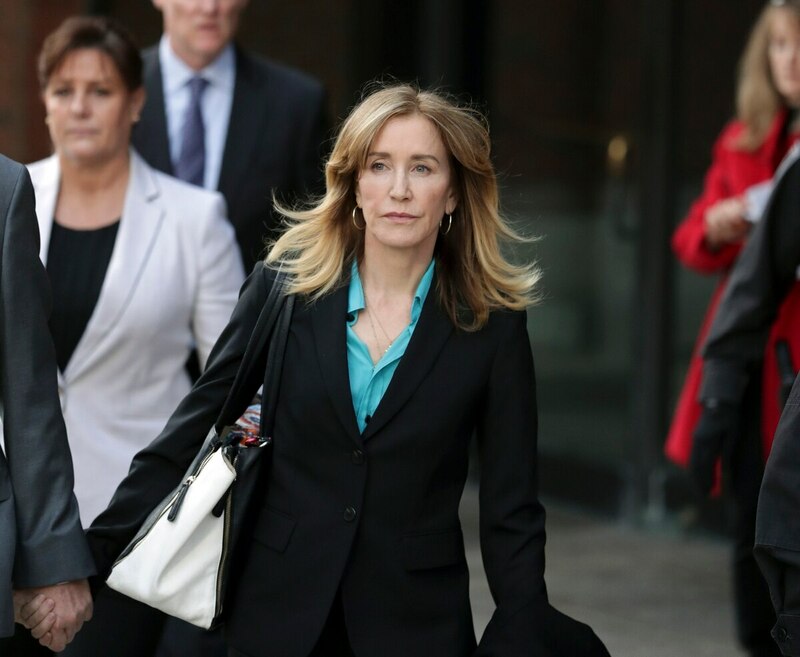 In the ongoing admissions scandals, 16 parents, including actress Felicity Huffman, received new charges of money laundering today. The parents, who were arrested on charges of conspiracy to commit mail fraud last month, were charged with "a second superseding indictment with conspiring to commit fraud and money laundering," according to the United States Attorney's Office in Massachusetts. Both of the new charges provide for a maximum sentence of 20 years in prison plus hefty fines. Huffman announced yesterday she will plead guilty to one count of conspiracy to commit mail fraud and honest services mail fraud after being accused of paying a consultant $15,000 to improve her daughters SAT score. Prosecutors say she may be facing four to ten months in prison. "My daughter knew absolutely nothing about my actions and in my misguided and profoundly wrong way, I have betrayed her," Huffman shared in a statement after announcing her plea. "My desire to help my daughter is no excuse to break the law or engage in dishonesty." Twelve other parents will also plead guilty, including California real-estate developer Bruce Isackson and his wife Davina Isackson, former coach of the Yale women's soccer team, Rudy Meredith, former sailing coach for Stanford, John Vandemoer, and former UT Austin men's tennis coach, Michael Center. Those who agreed to plead guilty yesterday may face anywhere from a few months to a year and a half in prison. Since the revelation of the scandals, Stanford has taken action. In a statement given on April 2, Stanford said they expelled a student who lied about her sailing credentials. The student was never a member of the team, nor admitted as a recruited athlete. Her admission was followed by a donation of $500,000 to the university's sailing program, according to the Stanford Daily. As USC continues to investigate, students believed to be involved have been placed on a hold which prohibits them from withdrawing, registering for courses, or receiving transcripts. USC administration declined to give comment.